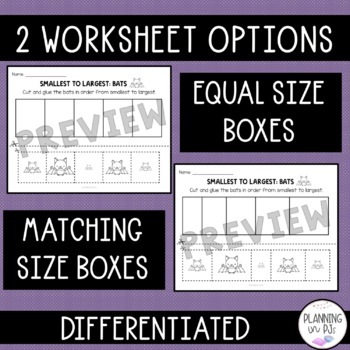 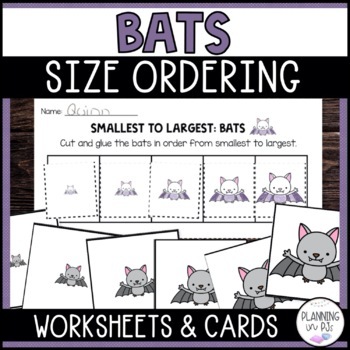 Includes 2 worksheets and 2 sets of size ordering cards, to practice ordering bats from smallest to biggest. 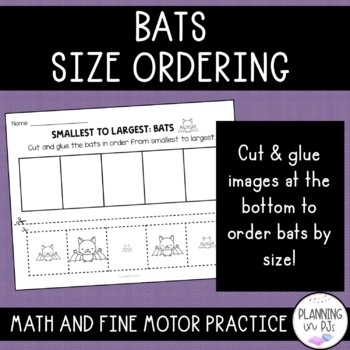 ✓ 2 worksheets to color, cut and glue the bats in order from smallest to largest. 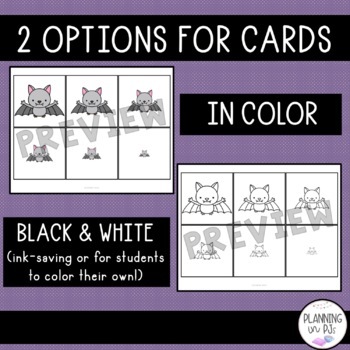 ✓ 2 sets of bats size ordering cards, both black and white but 1 version is ink-saving.